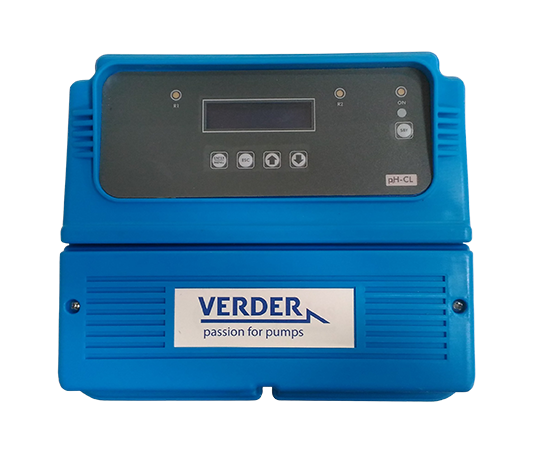 The Verderdos solenoid pumps programme consists of an extensive range of electromagnetic solenoid powered diaphragm pumps and a set of accessories, perfectly tuned on solenoid pumps. 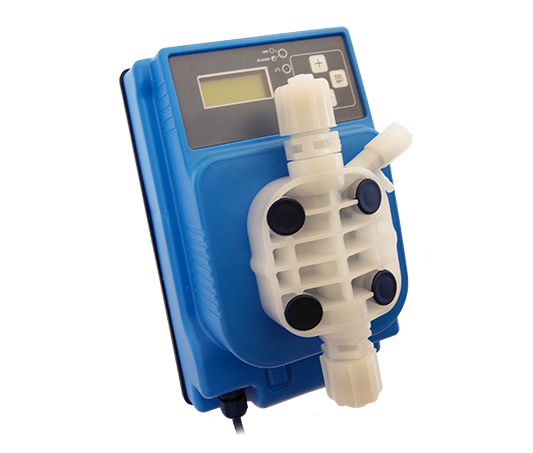 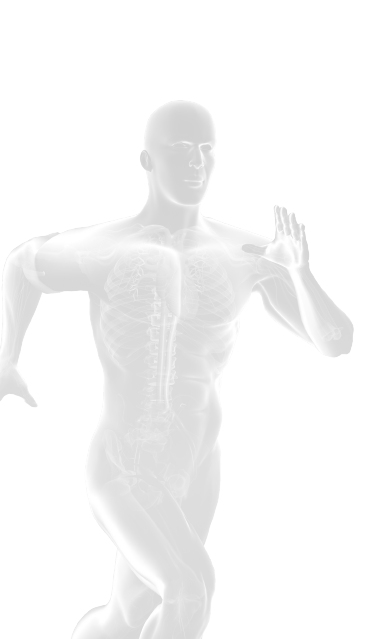 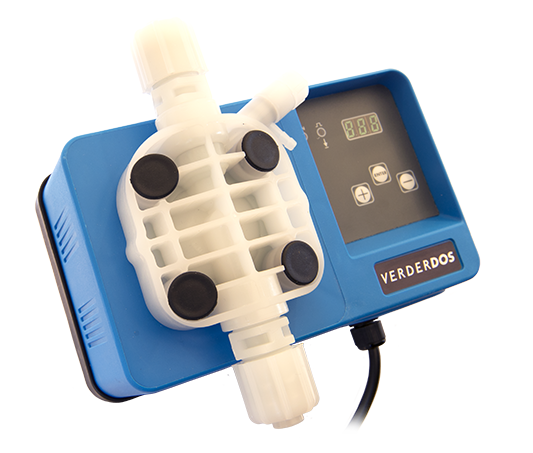 Verderdos pumps are an ideal choice when there is important back pressure to face, whilst pumping the desired liquid. 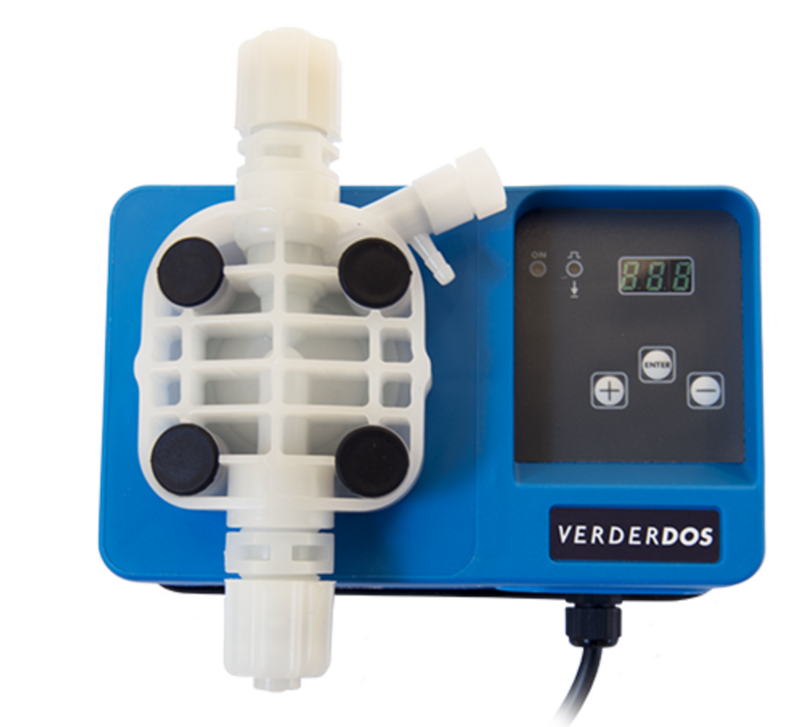 The wide combinations of wetted parts make the Verderdos range a perfect solution to pump chemicals of different nature and characteristics. 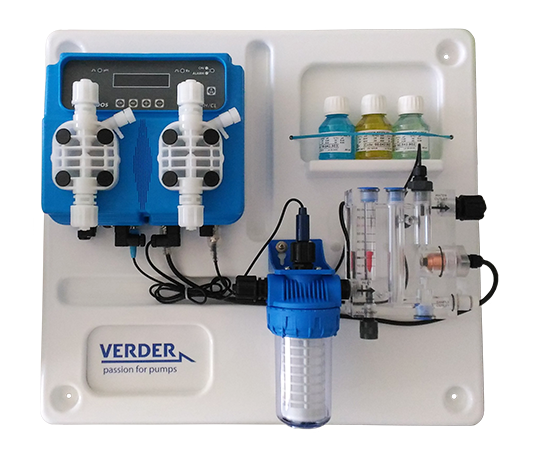 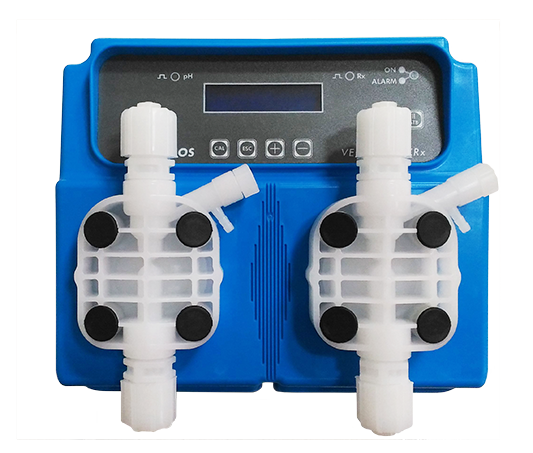 Verderdos solenoid pumps offer chemical compatibility with almost all chemicals used in water treatment.